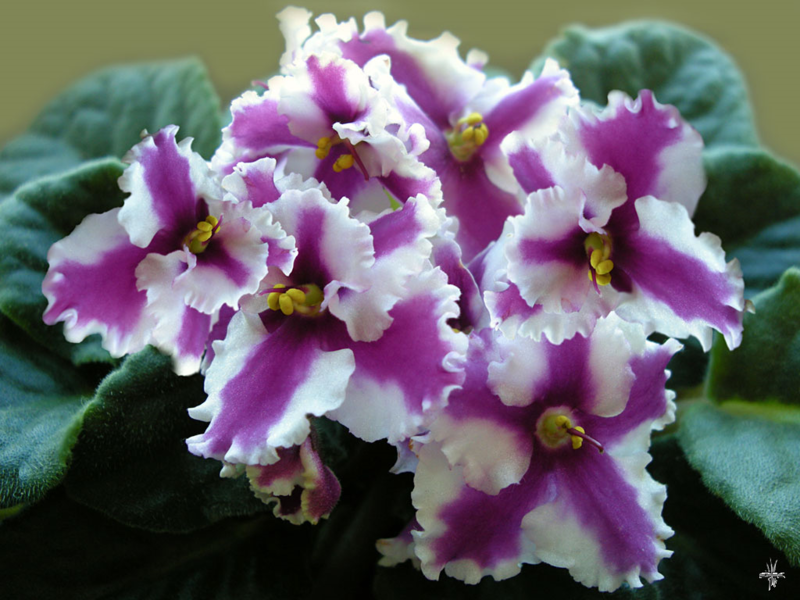 This immensely popular flowering houseplant, the African Violet, is native to Tanzania and Kenya. Because its natural habitat is rapidly disappearing due to clearing of land for agriculture, the conservation status of most species is listed as near-threatened. Several species are endangered. There are 6-10 different species of African Violet, but most of the commercially grown plants are cultivars (horticultural varieties) of one particular species. African Violets can range in size from 6cm to over 20, and the flower colours are nearly endless. Flowers can be single or double, be a single colour or a combination. There are many varieties of leaf shape and colour as well. African Violets are excellent houseplants. They look spectacular on their own, or as part of mixed tropical plant arrangement. We often use them as part of a flowering rotation in our office plantscapes. The key to success with these plants is consistency. African Violets prefer a constant warm temperature, and moderate humidity. They are sensitive to cold. The leaves will discolour easily if they get wet. Take care when watering not to splash the leaves. Ideally, African Violets should be watered from the bottom of the pot. Allow the plant to stand in a saucer of water for a few minutes. Discard any water that is not absorbed quickly, as the roots will rot. Wait until the soil on top is quite dry before watering. Do not repot very often; this plant likes its roots to be crowded. Repot into a new container that is only slightly larger. Regular fertilizing with a fertilizer specific for African Violets is recommended.